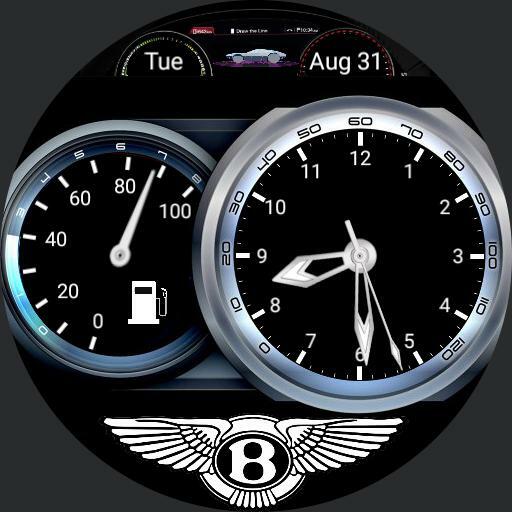 Tap Bentley logo to switch modes. Tap heart or shoe to open fitness app. Tap weather icon to update weather. Tap day or date to open calendar.